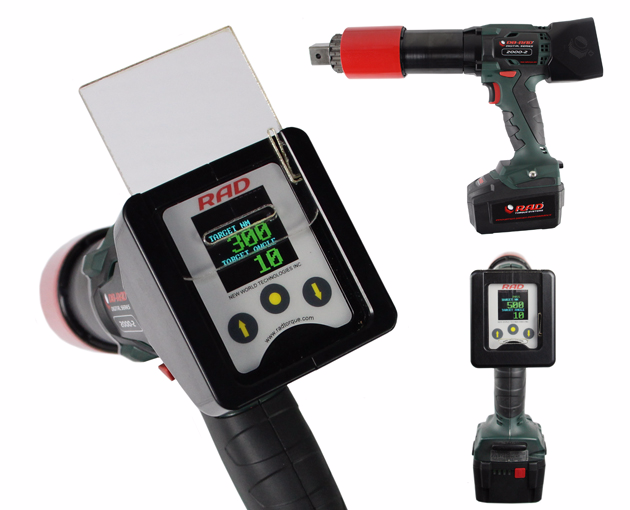 The world’s first digital cordless torque wrench, the Digital B-RAD is now available. The Digital B-RAD has a fully programmable display and single increment torque setting in both ft.lbs and Nm. Each Digital B-RAD is individually calibrated and NATA Traceable with an accuracy of +/- 5%. Ideally suited to field environments, the DB-RAD tool has a colour screen with a keypad and visual LED indicator lights which are programmable by the user. The Digital B-RAD is supplied in a weatherproof storage box with two batteries, charger and reaction arm.